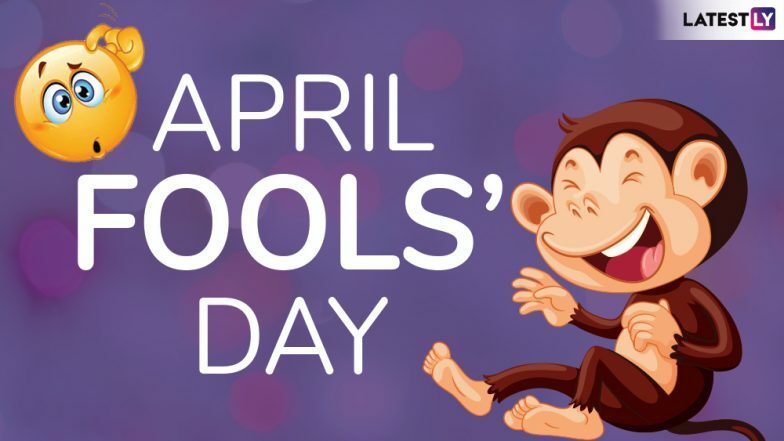 April Fools’ Day 2019: Bizarre Yet Funny Facts and Messages About April 1st to Send on WhatsApp to Blow Your Friends’ Mind! We are not saying that you don't know enough about April Fools' Day, in fact, it's 2019 and with the internet, on your fingertips, you must know everything!!! There is no better excuse to play out pranks and practical jokes on the people you love the most, than on the 1st of April, we get it, but did you know bizarre yet funny facts about this day of pranking people? We bet you don't know all of it. The all-fools day is the most light-hearted day when anyone can pull up antics and let's admit, we cannot keep their calm. If you are a prankster, chances of you already put your creativity in place by now is extremely high and we are so sure that you will not disappoint anyone. People every corner are captivated with April Fool's Day 2019 jokes and pranks, but there are many interesting facts that you all should know. As April 1 is nearing, here we have compiled fun facts of April Fools' Day that you probably did not know yet. You can even send as WhatsApp message to your best friend to shower some fun facts on them. April Fools’ Day 2019 Safe Pranks to Pull on Your Pets. April Fools' Day is all about making a fool of the people we adore with only safe, practical jokes. It epitomises the humorous side of human nature. There is no necessity to make anyone cry or freak out on 1st April. But it is also fascinating to know the reason behind celebrating this day. Hilarious Quotes & Funny GIF Images to Share on April 1. 1. The first and foremost fact about April Fool's Day is no one knows when and how it originally started. Although there are several theories, but none of them is a perfect or confirmed one. 2. The record of the first April Fools' Day was found out to be in 1392, which means that the celebrations might have started then or before that. But it is too ancient to track its origins. 3. The French call April 1 as "Poisson d'Avril," or "April Fish." The originators of Fool's Day is to stick a paper fish on somebody's body without their knowledge and crying out "Poisson d'Avril" when the prank is discovered. 4. Some beliefs say that April Fools' Day is a day of laughter and celebrating life by throwing away evil thoughts. 5. In some countries, the April Fools' Day pranks should be played only, until noon. 6. In Scotland, people celebrate two days as April Fools' Day. The second one is known as "Taily Day," in which people pranks only using one's back. They stick papers that says, "Kick me" and so on and have their share of fun. 7. Out of all, the most interesting April Fools' Day fact is that the Korean royal family is allowed to lie and play pranks on 1st April. 8. Gmail was first launched on April 1, 2004, and it was majorly assumed that the service was an April Fools' Day joke. 9. Other names for April Fools' Day around the world are April Noddy Day, Gowkie Day, Huntigowk Day and St. All-Fools Morn. 10. In some countries, people throw flour at each other as the part of the festivities on April Fools' Day. The above interesting facts is a treat to all the pranksters for April Fools' Day 2019. Share these facts with your near ones and show off some extra skills, apart from your mischievous pranks. Try not to be too harsh on the people you plan to fool and keep it as light-hearted as April 1 is famous for. Bring it on, pranksters! It is officially your day.